Even though its 4KTV portfolio is barely into its commercial stride, satellite operator SES has announced plans to showcase 8K television. The ambitious project ‘DigiGaon’ will have a target to connect 700 villages with Wi-Fi. The project also helps village level entrepreneurs to use digital powers to set up their businesses. 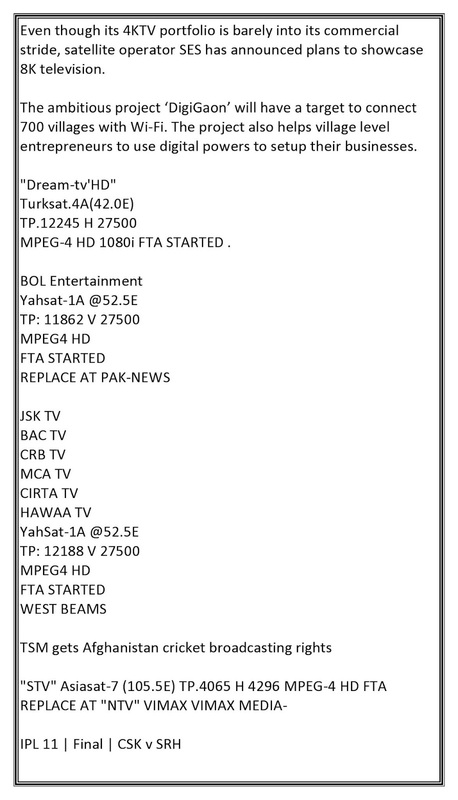 MPEG-4 HD 1080i FTA STARTED .